When I act as the boatswain in the ship, I need to focus on the activities on the deck so I prefer not to get phone calls during this time. If you are in class or on a meeting and you don’t want to receive calls, you may block them on your phone. You may also block specific numbers from contacting you. Here’s how you can use your Android’s built-in function for blocking calls. Tap the Menu option on your home screen. Tap the Call Settings option. Tap the Add Phone Number option. Enter the phone number you wish to add or tap on the silhouette icon for an option to choose a number to block on your contact list. Tap the OK button once done. It is possible to temporarily block incoming calls on your device. However, you need to call your network provider to enable this feature. You will be given a password that you can use to enable and disable this option. Once you get the needed password you can proceed with blocking calls on your Android anytime you wish. Enter the password provided by the network provider. I have tried different apps for blocking calls, as well as text messages and I will be keen to share these for a bottle of fine Grog. If for some reason you prefer an alternative for blocking numbers from calling or sending you a message, there are various apps that you can try. 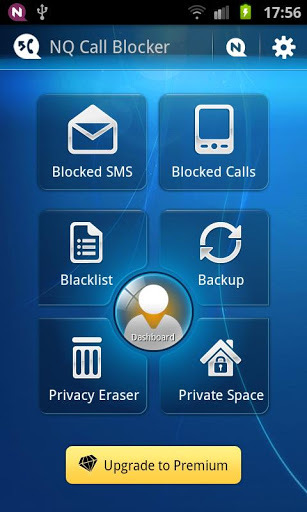 This is one of the best apps that you can use for blocking calls and text messages on your device. Free and paid versions are available. When using the free version, you will be given an offer to try the pro or paid version for 14 days. You can take advantage of this offer to experience all the features that the full version has to offer. Once the free trial is over, you can upgrade to the paid version or you may continue using the free version. The free one has limited features so this means that you will not be able to enjoy all the amazing functions available on the full version. By using this application, it is not only easier to block unwanted calls and text messages but you can also choose what happens when a blocked number calls you. Some of the options include mute ringer so caller will still hear the ring though you will not hear anything on your end, send to voicemail or immediately reject the call. Aside from creating your blacklist, you may also create a whitelist that you can enable if you want to receive calls only from selected callers. Other great features of this app include automatically blocking FCC Do Not Call list, as well as the community blacklist that has the number of caller that people want to send to Davy Jone’s locker. This application does not only offer the ability to block unwanted calls but it also has amazing privacy protection features. 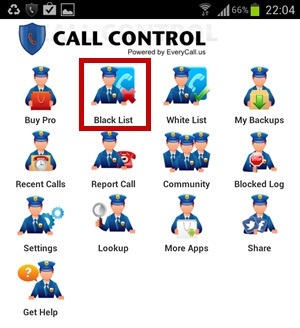 By using this app, you can create a blacklist for the numbers that you wish to block, as well as choose what you would like to do for blocked calls. It can also keep you from receiving unwanted text messages. It allows quick deletion of call history and messages in case you wish to remove all this information permanently. Call Blocker also offers a private space that you can use if ever you wish to keep logs of calls and copies of text messages without being seen by others. It is protected by a password so it is extra safe. You can also hide its icon from your main screen so others would not know that you have it installed on your device. You may create fake spaces, which are helpful if someone finds out about the application and demands for your password. You can then show the password of the fake space instead of showing the password of the actual space that you are using. I love this feature as I can keep me private messages from the buckos on the ship. This App really takes SMS, MMS and call blocking seriously. In the name of all the Rum in me ship’s belly, if you want some privacy from them annoying buccaneers then Extreme Call Blocker will do marvels for ya. For some pieces O’ eight, you’ll get a life-time subscription, constant updates and tech support that will ensure your Android won’t ring when he doesn’t have to. There you go buckos, take your pick! One thing is for sure, you won’t be able to stop me Parrot Squiffy from harassing you whenever i please, ha-ha-ha! There isn’t an app that can block sniveling Parrots the last time i checked! Ahoy! Call control is a very useful thing to use. Also, One Click Root is a very useful app… you can block phone calls from annoying people or whoever you want to extremely easy, definitely check that out! ¿Cómo programar un bloqueo para realizar llamadas en android? Another free call/sms blocker tool is called “Antinuisance”. Another android call/sms blocker app is ‘Antinuisance’.